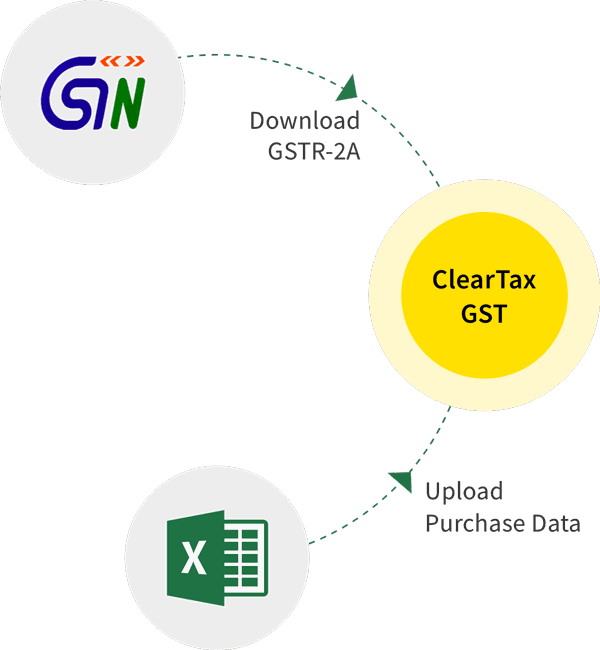 How to file CMP-04 on GST Portal? A Composition Dealer who wants to opt out of Composition Scheme has to file GST CMP-04. Fails to fulfill any of the conditions for availing the scheme. GST CMP-04 has to be filed within 7 days from the date on which the taxpayer plan to opt out of Composition Scheme or is ineligible to be covered in the scheme. A dealer has to opt out the day on which they fail to fulfill all the conditions to be complied by a Composition Dealer. A Composition Dealers turnover exceeds the Rs 1.5 crore on 15th December 2017. The dealer will have to file CMP-04 by 22nd December 2017. Step 2: Go to ‘Services’ > ‘Registration’ > ‘Application for Withdrawal from Composition Levy’. Step 3: Select the reason for withdrawal from the drop down. Step 4: Select the ‘Verification’ check-box, ‘Name of Authorized Signatory’ and enter the ‘Place’ field. Click on ‘SAVE’ button and file your CMP-04 using DSC or EVC. 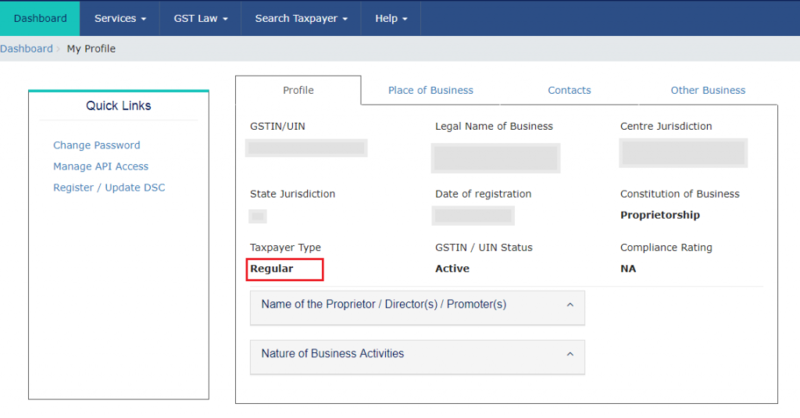 The ‘Taxpayer Type’ under ‘My Profile’ gets changed to ‘Regular’ on the successful filing of GST CMP-04.